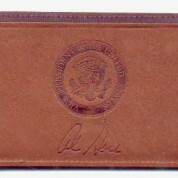 A beautiful Al Gore Money Clip. 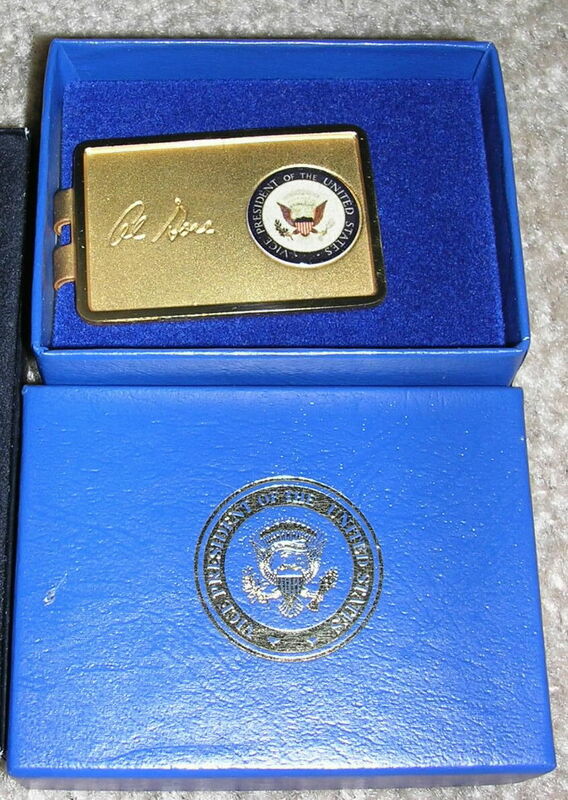 This money clip has a full color Vice Presidential Seal and Al Gore’s signature on the front . 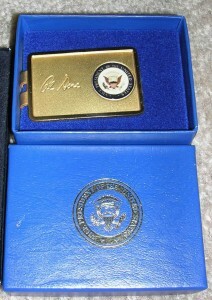 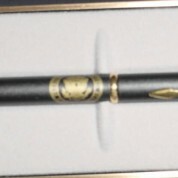 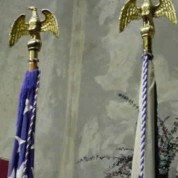 It comes in a blue box with a gold Vice Presidential Seal on the cover. 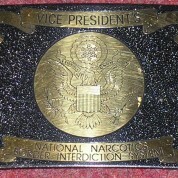 It is in pristine condition.